Palermo have changed their ownership for the second time in three months. 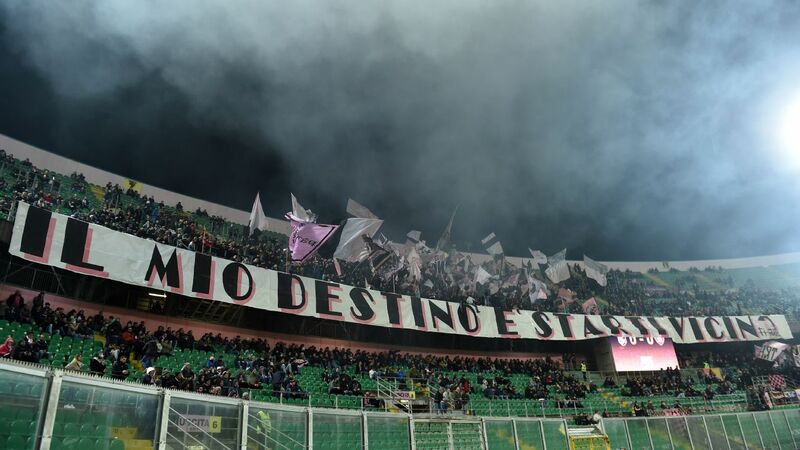 Serie B side Palermo has been sold to a London-based company for a "symbolic price" of €10 (£8.75), outgoing owner Maurizio Zamparini announced on Saturday. Citing "recent legal developments" at the club, Zamparini said the sale to the unnamed new ownership group will take on a €22.8 million debt and assist with the construction of a new stadium and training centre. Maurizio Zamparini had owned Palermo since 2002. Raffaele Maiello scored early in the first half to erase a 2-1 deficit from the first leg. That would have been enough to see Frosinone through because they finished higher in the season table, but Camillo Ciano sealed it in stoppage time by finishing off a counter-attack. Paul Baccaglini had hoped to be the new man in charge at Palermo. Paul Baccaglini has told Palermo fans he hopes to become the club's owner one day after negotiations to take over from Maurizio Zamparini broke down at the weekend. U.S.-born Baccaglini was named as Palermo's new president in March, but continued delays to the arrival of funds to complete a takeover saw Zamparini lose patience. He called off the deal and demanded that Baccaglini step down as president.